You can run as far as you want on the Ishawooa Trail, anywhere from 5 miles to over 50. This trail has been the preferred route into the most isolated spot in the Lower 48 States by countless individuals due to its more gradual grade and less harrowing aspect. You can run as far as you want on the Ishawooa Trail, anywhere from 5 miles to over 50. You’ll get a variety of terrain under your feet on the Ishawooa Trail. 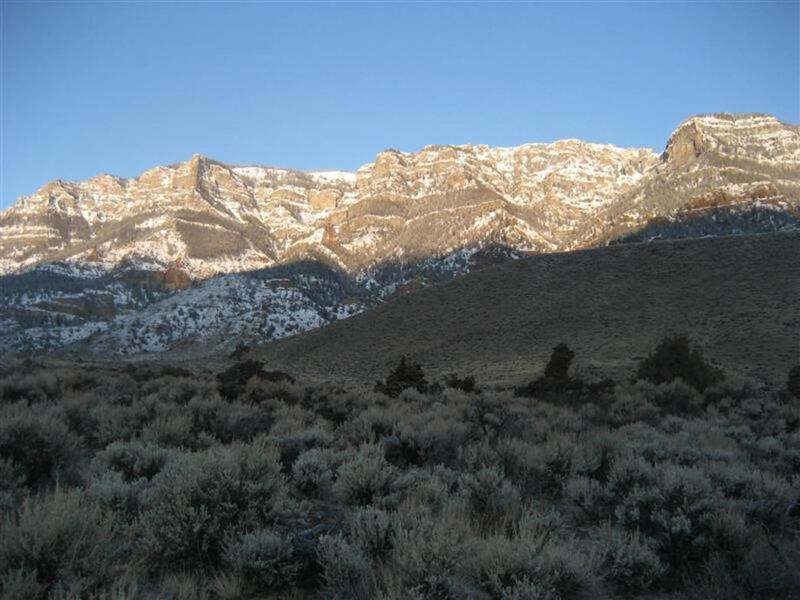 From the trailhead, you climb up and travel through some open sagebrush country. The trail then gets into the forest and reaches the boundary of the Washakie Wilderness at 3 miles. Following Ishawooa Creek the entire route, the trail takes you past some nice waterfalls and finally at 17 miles to the top of Ishawooa Pass. If you make it this far you’ll now be at the divide between the Washakie and Teton Wilderness areas. Continuing on, you’ll intersect the Deer Creek Trail which you can take back to the South Fork Road, past where you started. Hopefully you did a car shuttle for this 50 mile round trip run. Otherwise the Ishawooa Trail is an out and back. 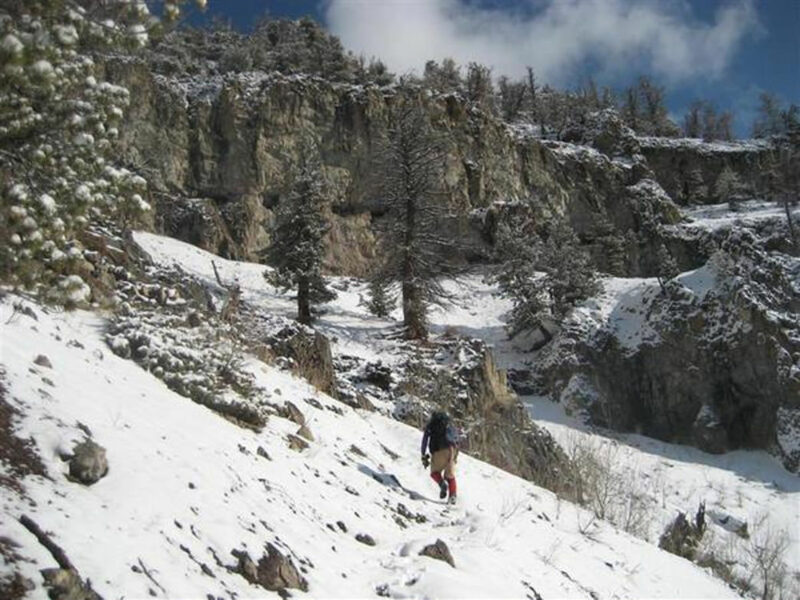 The South Fork valley has beckoned adventurous people since the 1880s. This area was the site of the earliest settlement in the region long before Cody was a glimmer in Buffalo Bill’s eye. Homesteaders traveled over 100 miles in wagons on roads which were no better than a miserable two track to get supplies in Red Lodge, Montana. And you thought it was a long way from Cody to the trailhead. These settlers needed a way to expand their financial enterprises and make a go of their ranches. The idea of the “guest or dude ranch” was born right here along the South Fork River. If you want a wilderness trail run that’s slightly less strenuous than the Ishawooa Mesa Trail, you’ll enjoy this route. This is big country with views all around. Ishawooa Trail is perfect for somebody who has a good half day to devote to the experience since it’s at least a 45 minute drive from town. The trail is less intense than many others along the South Fork, and because of that it’s also popular with other recreationists, including trail riders. You might be leaping over piles of horse dung as you go along. From Cody, take Yellowstone Avenue west for 2.5 miles to the South Fork Road. Turn left and keep driving through some incredible scenery for another 33.5 miles, just past the bridge over the South Fork River. The trailhead has room for several large vehicles, such as horse trailers. There are no fees, and you can bring your leashed pets. Remember, this is wilderness. Real wilderness. Carry bear spray and keep in mind there is no cell service. This is a trail better suited for more experienced runners who understand, and can deal with, the inherent risks associated with the wild.